Marissa Parlette, a speech-language pathologist at a local elementary school in Tranquil Cove, Washington, is working with nine-year-old Anna Black who has a stuttering problem. When Anna's dad, Nathan, a paramedic, comes to talk to Anna's class about his work, Marissa meets him for the first time. Chemistry clicks, soon making them inseparable. For Nathan's 40th birthday Marissa hosts a dinner with Lauren Eklund, a neighbor to Nathan and Marissa's childhood friend and her husband, Jensen as well as Nathan's surgeon brother, Keith, his wife, Hedra, and Anna. Marissa is annoyed who Lauren who outrageously flirts with Nathan. Even having too much to drink is no excuse. Though friends many years ago, Marissa still holds a grudge against Lauren from a transgression in their past. "But the past wouldn't leave me alone. When Lauren moved here, she looked me up, called me. I drove to the hospital to meet her in the cafeteria. Remember when popped over on the foot ferry, and we talked about moving here? she said sliding into a booth across from me. Well, I did. After they built the hospital, I got a job in the ER. She didn't move here to follow me. But she might as well have." Wary over Lauren's motive at rekindling their friendship, Marissa dismisses her when Nathan produces a diamond ring along with a proposal. She loves him and Anna unconditionally, so she tunes out Lauren's outrageous actions. Early the next morning while Marissa walks by the shore, she discovers Lauren's broken body after an apparent fall from above. Shocked, she phones 911, and from there, her world shatters. Did Lauren jump, slip, or was she pushed? Before leaving the night before, Lauren told Marissa she needed to talk to her about Nathan, but Marissa put her off. Marissa remembers Lauren's fear of heights and realizes she wouldn't venture to the cliff unless she was very drunk or pursued. Crazed thoughts flow through her mind, and a few days later she returns to her own cottage to get some perspective on the situation. To her shock, her house has been burglarized with the only place ransacked being her bedroom. A bottle of perfume is smashed against the wall, and the dress she planned to wear for her wedding is missing. Who could have done this? Flustered and frightened, she heads to the security of Nathan's home, still puzzling out the facts of Lauren's death. Marissa cannot find answers, yet tragedy strikes all around her. The detective on Lauren's case suspects Marissa of certain happenings as danger surrounds her. Anna becomes withdrawn, Nathan's ex is testy, and something is going on between Nathan and Hedra. Whom can she trust? 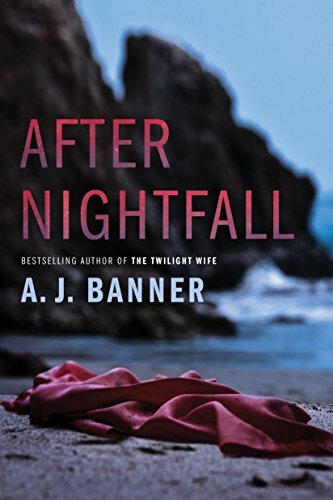 Written in the present tense and in the first person, After Nightfall is a chilling drama. The vast and well-fleshed out characters keep the reader wondering just what is going on. A compelling plot filled with mystery and suspense proves no one really knows what goes on in the mind of others. Nancy Carty Lepri is the author of a children’s chapter book, Tiny Angel, and is an illustrator and freelance editor. She has edited more than 20 books for national small publishers in various genres.